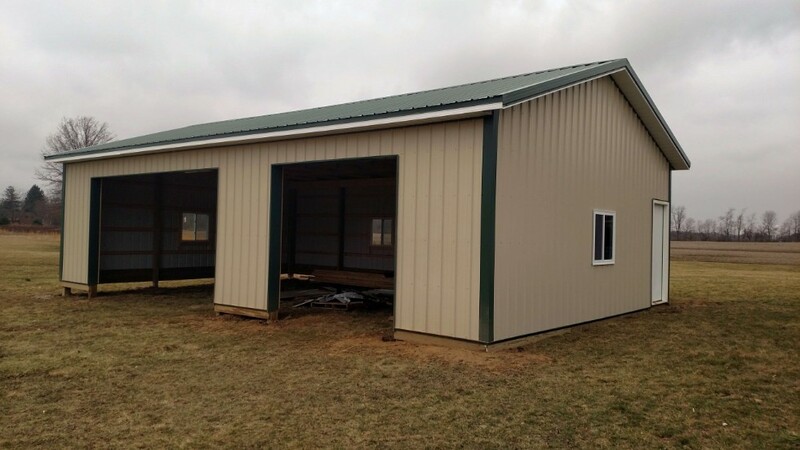 At Rock Steady Builders, LLC, we provide superior design and craftsmanship services for post frame construction projects such as pole barn houses, storage sheds, horse barns, and garages. Rock Steady Builders will help you with all stages of your new post frame building, from designing the layout to the finished product. Our post frame contractors are talented builders with years of experience in the pole barn construction industry. Our clients are our priority, and we take pride in how we communicate and collaborate with them. We strive to exceed your expectations with our superior construction services and reliable team of contractors. We design and build new post frame buildings. From horse barns and garages, to workshops and boat sheds, Rock Steady Builders, LLC in Wilmot, Ohio is your trusted contractor for any size project. Build your dream workshop or barn today! Our company is based on the belief that our customers’ needs are of the utmost importance. We are committed to meeting those needs. We would welcome the opportunity to earn your trust and deliver you the best service in the industry.